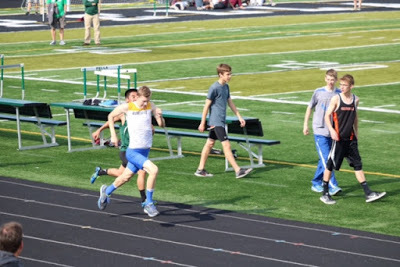 Last week our son ran his toughest race ever and finished second in the 3200 meter at the State Qualifying Meet. 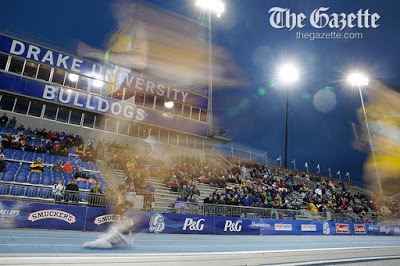 He finished with a personal record best time of 10:02.70. Today our family heads to Des Moines to watch Patrick along with several other teammates run their hearts out on the famous “Blue Oval” at Drake University. It will be a fun weekend and I can’t wait to see how everyone finishes. Patrick is going in ranked 7th in 3A and several other teammates are ranked in the Top Ten as well. I’m looking forward to hanging with all the other track parents and watching some close races! If you’d like to watch, there is a live feed – http://ihssnlivestream.com/. Patrick runs at 4:05 today. So, it’s been a crazy week with my maternity leave subbing, meetings at night, and getting ready to leave for state track. I’m sorry that the blog is quiet, but I’ll be back soon with more bookish posts and reviews.